Featured 1967 Plymouth Cars And Trucks - Section contains a collection of featured 1967 Plymouth vehicles submitted by visitors of Plymouth Zone. Own A 1967 Plymouth? 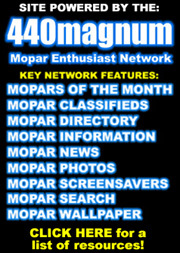 We are looking for 1967 Plymouths to add to this section. Use the submit your Plymouth link above to have yours featured or updated! 1967 Plymouth GTX Convertible By Jim T.
1967 Plymouth GTX By Joe C.
1967 Plymouth GTX By Justin T.
1967 Plymouth GTX By Michael P.
1967 Plymouth GTX By Mike A.
Barracuda - 2 Door Convertible, 2 Door Fastback, 2 Door Hardtop. Barracuda Formula S - 2 Door Convertible, 2 Door Fastback, 2 Door Hardtop. Belvedere - 2 Door Hardtop (Hemi 426). Belvedere I - 2 Door Sedan, 4 Door Sedan, 4 Door Station Wagon. Belvedere II - 2 Door Convertible, 2 Door Hardtop, 4 Door Sedan, 4 Door Station Wagon 6 Passenger, 4 Door Station Wagon 9 Passenger. Fury I - 2 Door Sedan, 4 Door Sedan, 4 Door Station Wagon. Fury II - 2 Door Sedan, 4 Door Sedan, 4 Door Station Wagon 6 Passenger, 4 Door Station Wagon 9 Passenger. Fury III - 2 Door Convertible, 2 Door Hardtop, 4 Door Hardtop, 4 Door Sedan, 4 Door Station Wagon 6 Passenger, 4 Door Station Wagon 9 Passenger. GTX - 2 Door Convertible (440), 2 Door Hardtop (440), 2 Door Hardtop (Hemi 426). Satellite - 2 Door Convertible, 2 Door Hardtop, 2 Door Hardtop (Hemi 426). Sport Fury - 2 Door Convertible, 2 Door Fastback, 2 Door Hardtop. Valiant 100 - 2 Door Sedan, 4 Door Sedan. Valiant Signet - 2 Door Sedan, 4 Door Sedan. VIP - 2 Door Hardtop, 4 Door Hardtop.